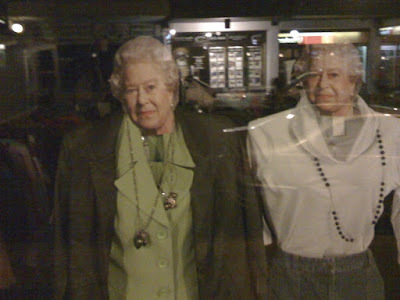 Walking down Marrickville Road on Saturday night, we passed an old lady clothes shop with 4 mannequins in the window...all with pictures of the Queen's face stuck to their heads. It was disturbing times 4. We thought it was some kind of tricky marketing ploy to appeal to old ladies who fancy themselves..well..fancy. ..but obviously, this is the June long weekend. Also known as the Queen's birthday weekend. 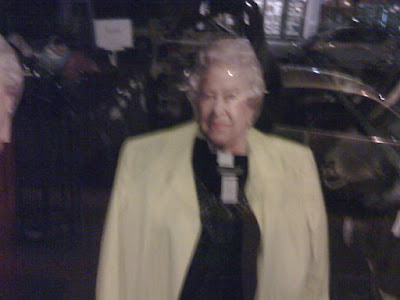 It's an homage to the Queen. Someone else figured it out. Sort of.. immediately. Still, it was creepy. I had dreams about those Queen faces. Bad dreams.